Shanghai Commerce Commission unveils a three-year action plan to build city into a world-class shopping hub. 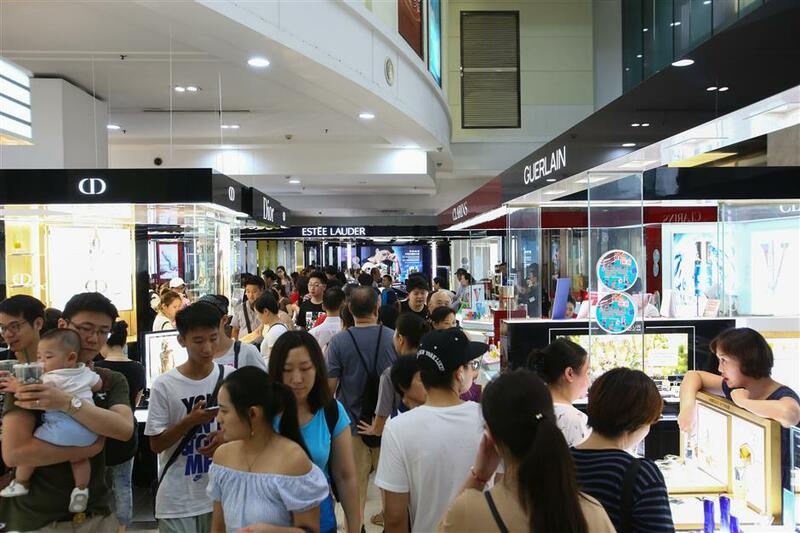 Shanghai will encourage new retail formats to cater to consumer demand while the city aims to revitalize time-honored brands as it bids to build itself into a world-class shopping hub. The Shanghai Commerce Commission's three-year action plan envisages the city becoming a testing field for new business and retail formats such as those that integrate digital technologies and cashier-less vendors. The commission will also support the development of incubation and technology application platforms, as well as launching initiatives to foster commercial zones in various downtown landmark areas and shopping streets featuring traditional Shanghai styles. The Exposition on China Indigenous Brand to be held between May 10 and 12 will feature a number of time-honored local brands. A total of 500 local brands will take up around 25,000 square meters of exhibition space. Shanghai Hero Group's gold fountain pens and Shanghai Yimin No.1 Food Factory's latest ice cream that is set to launch this summer will be among the merchandise on display during the exposition. The revival of time-honored brands and measures to support innovation are also part of the action plan to turn the city into a world leader in shopping. Shi Xiaolong, executive director at the economic operation department at Shanghai's Bailian Group Co, said that it has been actively upgrading retailers information technology system to help them better manage inventory. "Consumers nowadays care more about the shopping experience and we're working to reshuffle operation strategy to reflect changing consumer demands and stay closer to the community neighborhoods," he said. Its hypermarkets will be restructured to feature more fresh food and less daily groceries and the floor space will be reduced to about 6,000 square meters. The group will also ensure that on-the-spot food and prepared meals will also be available at supermarkets which are close to neighborhoods to suit the demand of office workers who have little time to cook meals. Several Lianhua supermarkets in downtown area have completed construction and are waiting for permission from the food safety watchdog to start operation. Some of the supermarkets in Shanghai are also equipped with interactive electronic screens to allow orders to be placed online. It's also seeking to embrace the latest technology in facial recognition, RFID sensor, and electronic screens. The facial recognition technology, which will be unveiled later this year at selected stores in Shanghai, will provide data on when shoppers visit the shopping centers and how long they spend in each sector to help the retailer optimize the interior layout of the stores. A new pavilion at the Shanghai No.1 Shopping Center on the Nanjing Road E. Pedestrian Street will also be unveiled in October. 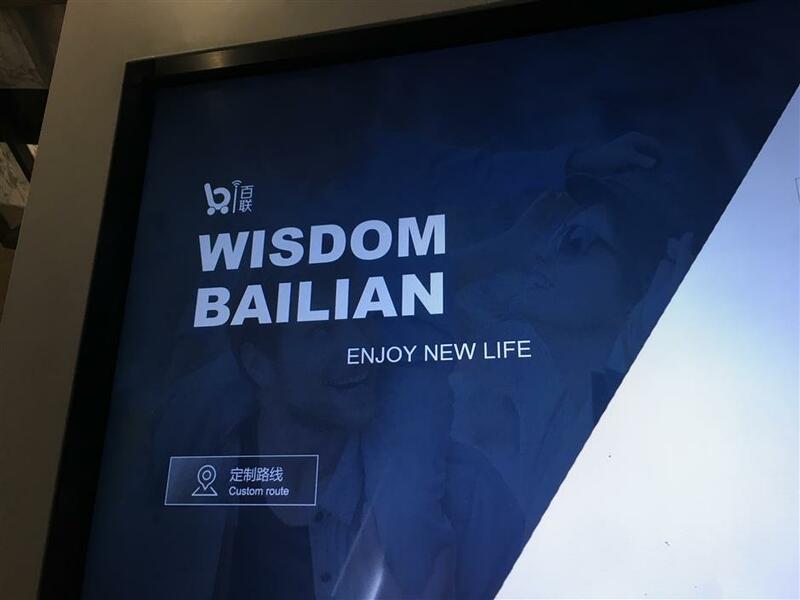 By the end of 2017, Bailian has 5,000 physical outlets and its online shopping platform has accumulated two million active members.